Upheaval may be forcing the donors to dig deeper. Combined Insurance helped Drexel Hamilton raise $20,000 for transportation for relatives of wounded service members. Low interest rates and regulatory changes are forcing many people in the life and health insurance industry to work longer hours for less pay, and much less certainty about the future, these days. But, in spite of the challenges, insurers, industry groups and distributors have been forging ahead with charitable giving campaigns. The National Association of Independent Life Brokerage Agencies (NAILBA) recently raised money for its charitable foundation with an auction in Orlando, at the NAILBA 34 meeting. The Insurance Industry Charitable Foundation (IICF) celebrated a Week of Giving by mobilizing 8,577 insurance industry volunteers in 76 cities to provide more than 25,000 hours of community service. IICF-supported events included seven programs aimed at getting small children interested in reading. The volunteers got to hang out with the children and, possibly, inspire the children to develop the skills they will need to manage their finances later in life. Bankers Life, a unit of CNO Financial Group Inc. (NYSE:CNO), raised about $500,000 for the Alzheimer’s Association with its annual “Forget Me Not Days” street corner fundraising campaign. Street corner collections increased 4 percent between 2014 and 2015, to more than $350,000, and Bankers Life and CNO added $150,000 in corporate donations. 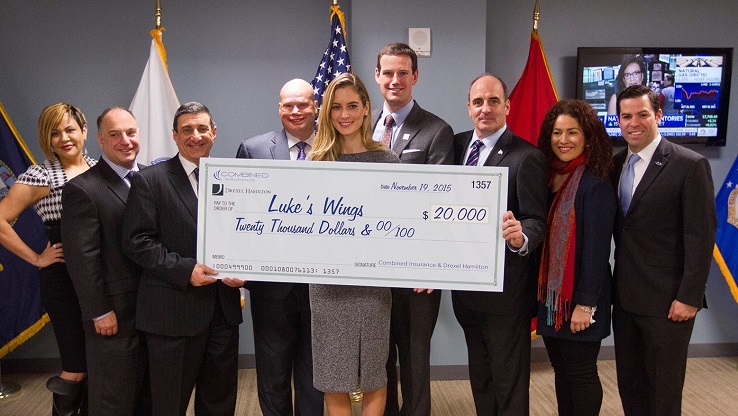 At the agency level, Combined Insurance, an ACE Group company that distributes individual supplemental accident, disability, health and life products, teamed up with Drexel Hamilton, a broker-dealer, to raise $20,000 for Luke’s Wings, a nonprofit group that provides transportation for family members of wounded servicemembers who are in the hospital or are getting rehabilitation services.